Well we’ve done a waistcoat already, so we thought how’s about a duster coat too ! 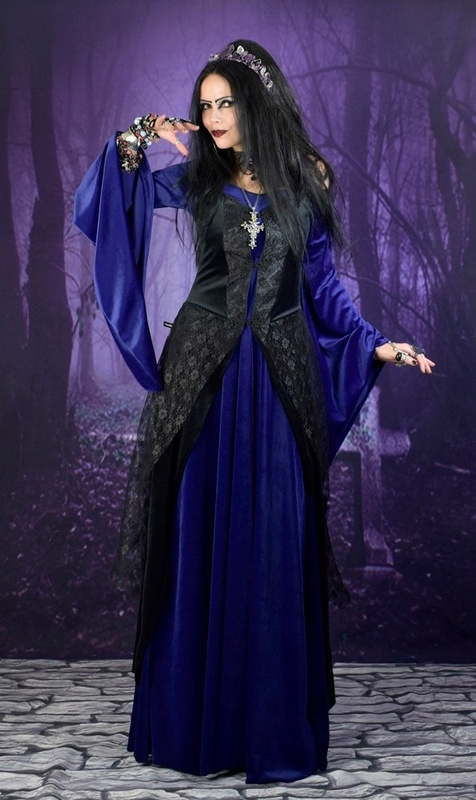 Made from steamed velvet, taffeta and lace, just what every gothlet needs. There's braiding down the back, so you can lace it in nice'n'tight around the waist. It's floor length at the back, and the front curves around to meet it down from the waist.It fastens with three embroidered frogs!<br> <br> It's shown here worn over our Moonshadow Gofficeia Dress and Steamberry Dress - the taffeta centre panels can be made in a contrasting shade (they're black in the above pics) but you can choose yours below! Well we’ve done a waistcoat already, so we thought how’s about a duster coat too ! 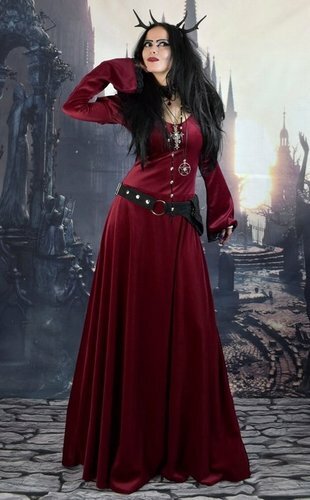 Made from steamed velvet, taffeta and lace, just what every gothlet needs. There's braiding down the back, so you can lace it in nice'n'tight around the waist. It's floor length at the back, and the front curves around to meet it down from the waist.It fastens with three embroidered frogs! It's shown here worn over our Moonshadow Gofficeia Dress and Steamberry Dress - the taffeta centre panels can be made in a contrasting shade (they're black in the above pics) but you can choose yours below!